When you make a profit, large or small, from selling an investment, this gives you a “capital gain”. A capital gain is the difference between the price you pay for an investment and the price for which you sell it at a profit. The investments or assets that you sell, and that are potentially capital gain generators, can be tangible assets such as property like a house, a block of land or shares, but an asset can also be, for example, the goodwill of your sole trader business or artwork. If the difference between your buy and sell prices is a profit or gain, then you may be liable for that profit to be taxed. The amount of capital gain that is taxable varies with the type of asset, but is also influenced by various other factors, including how long you may have owned the asset. For individuals, there is a discount of 50% if you’ve held the asset for more than 12 months. 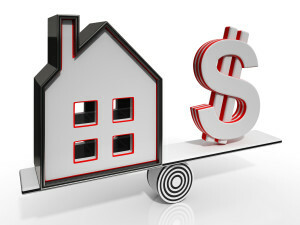 If the difference between your buy and sell prices is a loss, that is known as a “capital loss”. How does the ATO treat capital losses? The Tax Office won’t allow deductions of capital losses from your assessable income other than capital gains. What the tax law does allow you to do is to “carry forward” any losses to be deducted from any future capital gains. Make sure you keep all receipts and any details of financial transactions and records that relate to the buying, selling and maintenance of your assets and investments. Make an appointment with one of our Chartered Accountants at our Epping office for specific advice regarding record keeping in Capital Gains Tax matters. Four Capital Gains Tax-related tax concessions may be used by a business that qualifies as a “small business entity” — which means either having no more than $2 million annual aggregated turnover, or coming under a $6 million net asset value threshold (which may include the assets of connected entities and affiliates). Make an appointment with one of our Chartered Accountants at our Epping office for specific advice regarding small business Capital Gains Tax matters.